The Razer Mamba Elite Right-Handed Gaming Mouse is the iconic gaming mouse you know and loves with the most Razer Chroma in our lineup—an impressive 20 lighting zones. And with features built for a performance packed into an ergonomic body, you hold an unsurpassable edge over the competition. The Razer Mamba Elite features our acclaimed Razer 5G Advanced Optical Sensor with true 16,000 DPI and Razer Mechanical Mouse Switches with extended durability of up to 50 million clicks. Get more control with 9 programmable buttons, each one easily configured through Razer Synapse 3, and save up to 5 profiles to your mouse with onboard memory. 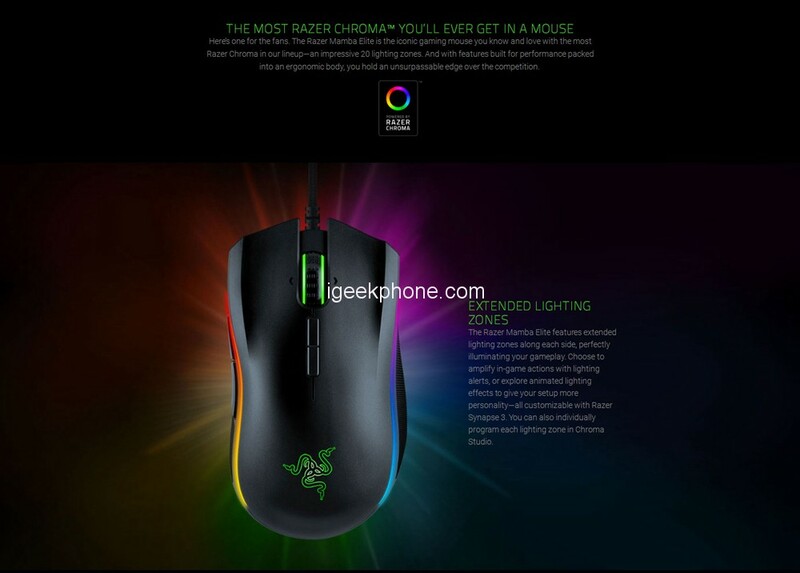 With extended Razer Chroma lighting zones along each side of your mouse, customize with preset lighting effects or create your own from 16.8 million color options. Featuring our acclaimed Razer 5G Advanced Optical Sensor with true 16,000 DPI, experience a new standard of precision and speed. With a Resolution Accuracy of 99.4%, you stay on target even during intense action. Game for hours with reduced stress on your palm and fingers when actuating buttons, and eliminate unnecessary finger drag points. Rebind buttons, assign macros and automatically save all your profile configurations to the cloud. 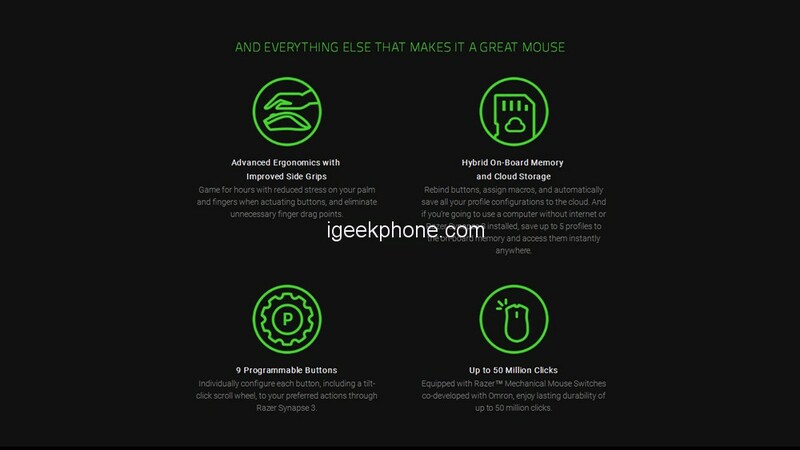 And if you’re going to use a computer without internet or Razer Synapse 3 installed, save up to 5 profiles to the onboard memory and access them instantly anywhere. Individually configure each button, including a tilt-click scroll wheel, to your preferred actions through Razer Synapse 3. Equipped with Razer™ Mechanical Mouse Switches co-developed with Omron, enjoy lasting durability of up to 50 million clicks. The Razer Mamba Elite features extended lighting zones along each side, perfectly illuminating your gameplay.